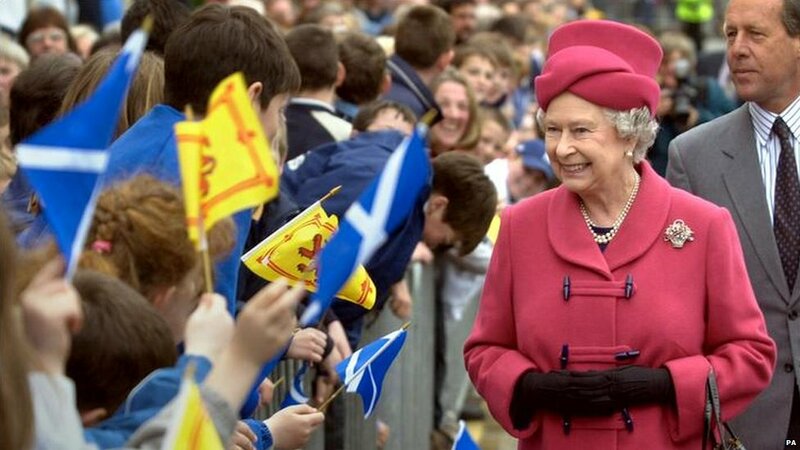 Since the Queen's accession to the throne in 1952, she has regularly undertaken official engagements throughout Scotland. 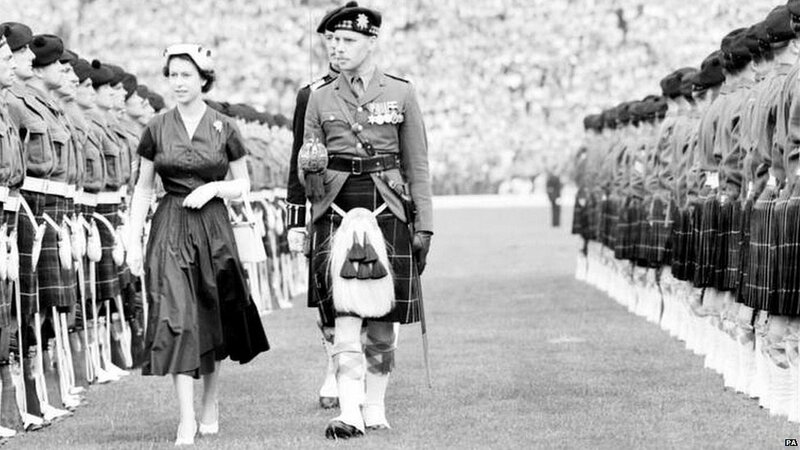 In 1953, she inspected the Highland Light Infantry at Hampden Park in Glasgow. 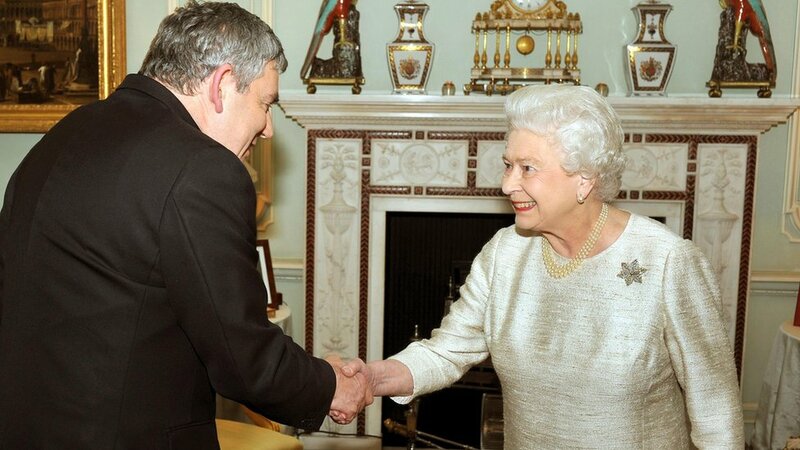 Some objected to her title of Queen Elizabeth II, saying Scotland had "never had a Queen Elizabeth I". 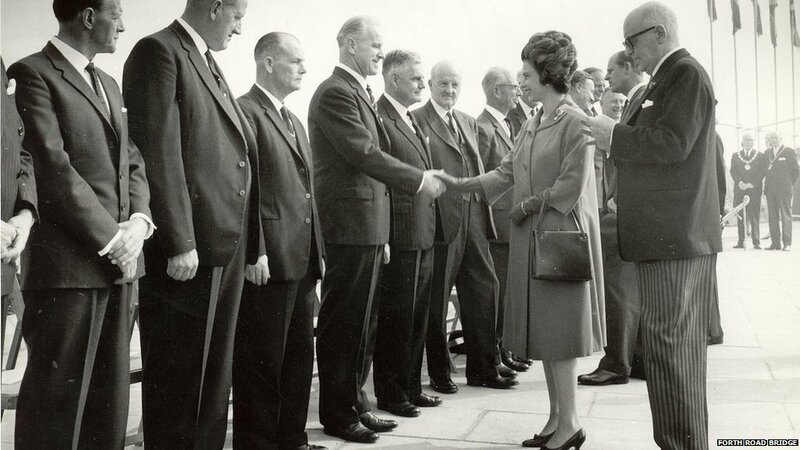 In 1964, the Queen formally opened the Forth Road Bridge. The bridge has become a Scottish landmark and an essential transport link. In March 2012, it was estimated the bridge carried over two million vehicles. 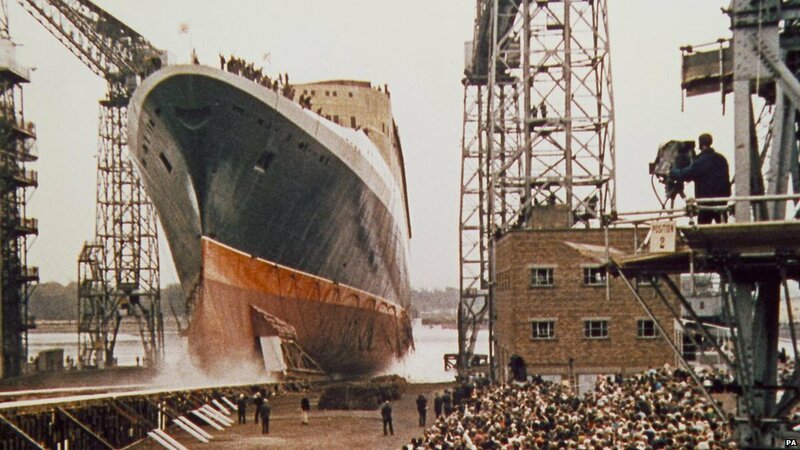 In September 1967, the Queen visited the John Brown and Co shipyard in Clydebank to launch and name 'hull 736' as the Queen Elizabeth II or QE2. The QE2 was the last great liner to be built in the upper Clyde. Aside from her official duties in Scotland, Balmoral Castle in Aberdeenshire is a favourite private residence of The Queen. The original castle was bought by Queen Victoria in 1848 and demolished following completion of a larger building in 1856. 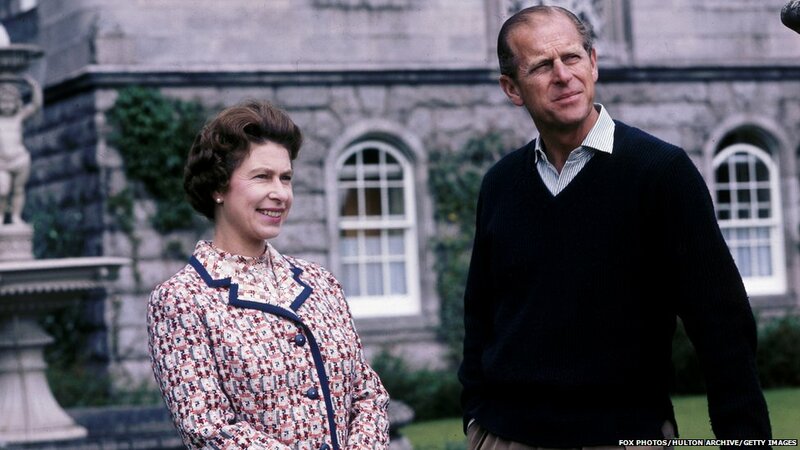 The Queen and Duke of Edinburgh are pictured here in 1972. 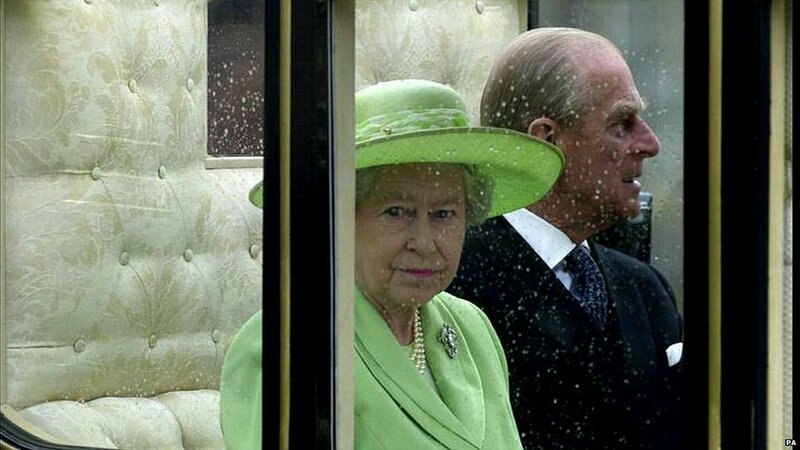 In 2012, the Queen hosts a garden party at Balmoral on 7 August. 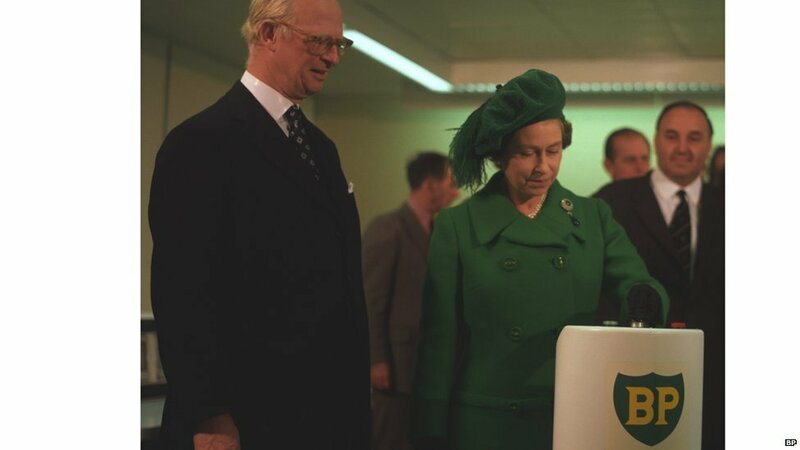 In November 1975, the Queen symbolically starts the flow of North Sea oil by pushing a gold-plated button in BP's control centre at Dyce near Aberdeen. The oil industry and related sectors have played a huge part in the UK economy. Expertise gained in the North Sea oilfields has an international reputation. The 1986 Commonwealth Games were held in Edinburgh. Due to opposition to apartheid in sport, 32 nations decided they could not attend. Scotland won 33 gold medals, including Liz McColgan's gold in the 10,000 metres. 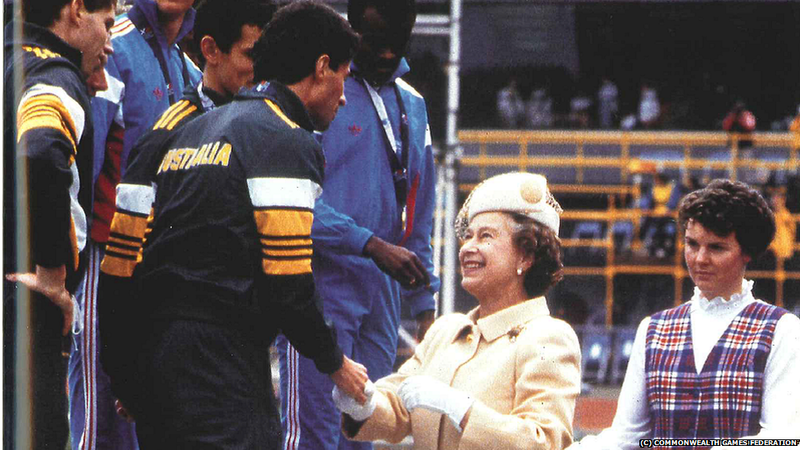 Here, the Queen presents silver medals to the Australian 4 x 400 metres relay team. Glasgow hosts the Commonwealth Games in 2014. The Stone of Destiny was captured by Edward I of England 'The Hammer of the Scots' in 1296 and placed under the Coronation throne in Westminster Abbey. It was last used during the coronation of HM The Queen in 1953. 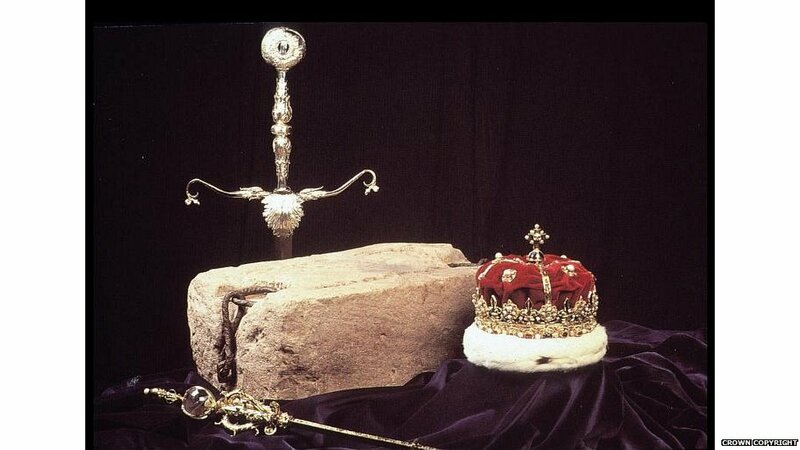 On St Andrews Day 1996, the Stone was ceremonially returned to Scotland and installed in Edinburgh Castle, alongside the Honours of Scotland. 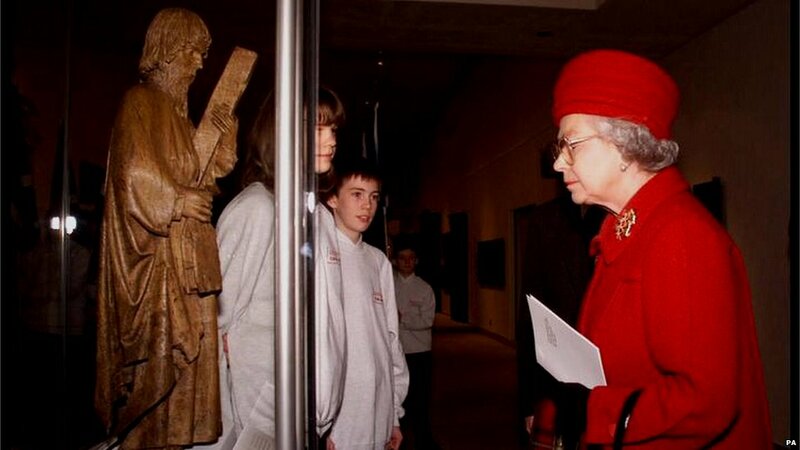 In 1998, the Queen opened the newly refurbished Museum of Scotland in Edinburgh. In 2006, the National Museum of Scotland was created by a merger between the Museum of Scotland and the Royal Museum. "There shall be a Scottish Parliament". 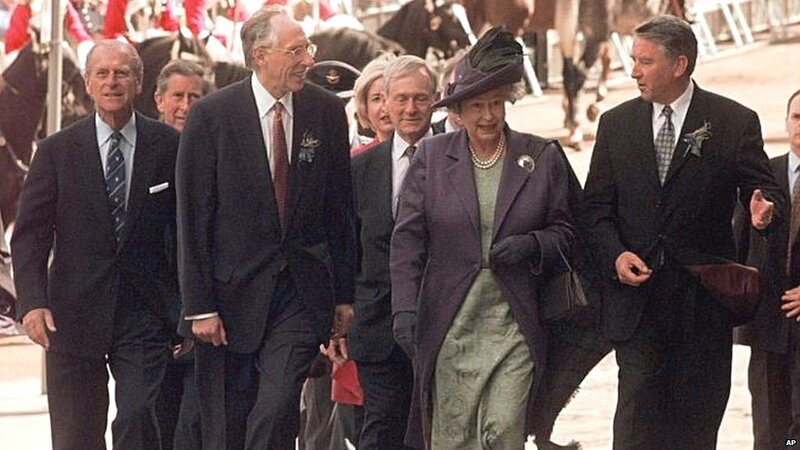 Accompanied by Donald Dewar and David Steel, on 1 July 1999 the Queen was in Edinburgh to open the first Scottish Parliament for almost 300 years. In May 2002, the Queen marked 50 years on the throne with a Golden Jubilee tour of the UK. Here, she meets wellwishers in Portree on Skye. On a rainy day in Edinburgh in 2002, The Queen continued her Golden Jubilee tour by attending the opening of the General Assembly of the Church of Scotland. Unlike the Church of England, the Kirk has complete independence from the state in spiritual matters. The 2005 Gleneagles G8 summit of world leaders was held amid huge protest. The summit ended with an agreement to boost aid for developing countries. 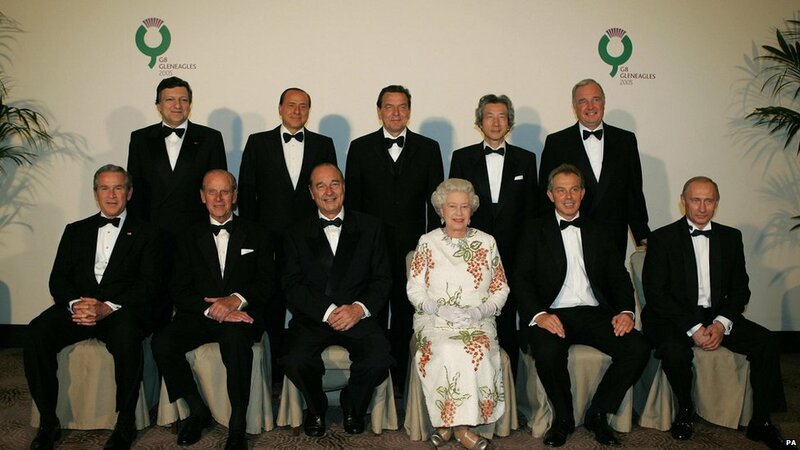 The Queen meets all new and outgoing UK prime ministers. Gordon Brown tendered his resignation as prime minister in May 2010. Following the general election, he had been unable to form a government. David Cameron and Nick Clegg subsequently formed the Conservative-Lib Dem coalition government.